— but it's hard to get everyone on the same page. 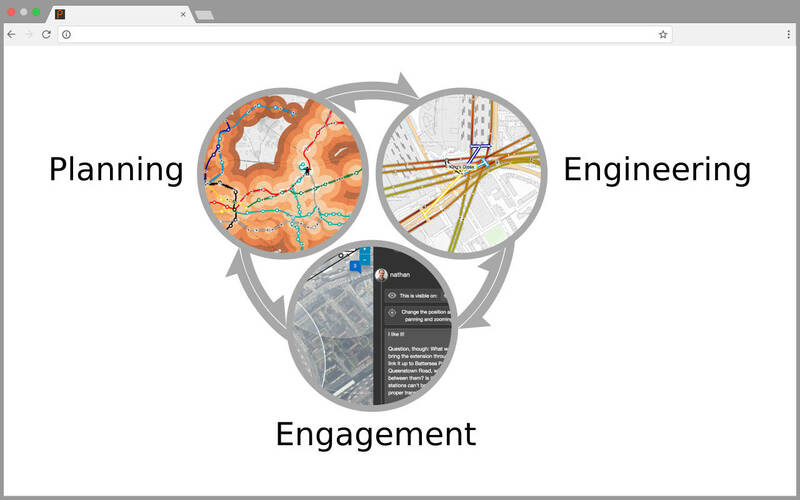 Introducing Podaris: a real-time collaboration platform for planners, engineers, policymakers, and public stakeholders. 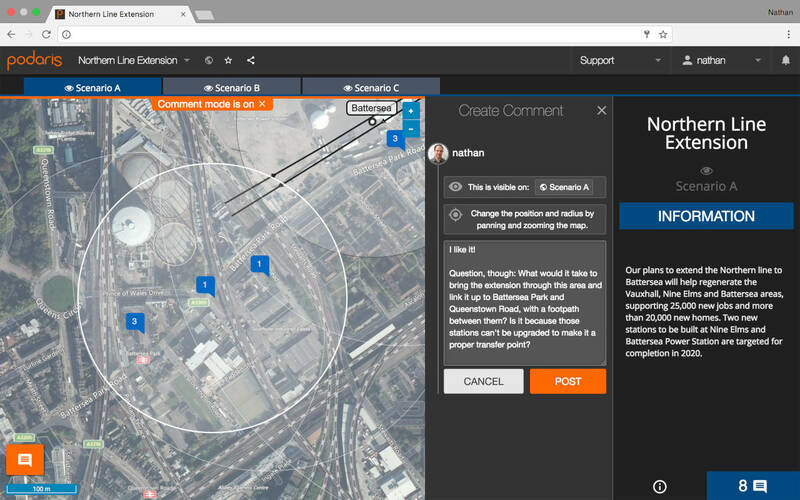 Podaris gives you powerful tools for proposal development and feasibility studies, letting you create transport plans more rapidly, accurately, and collaboratively than ever before — in any web browser. 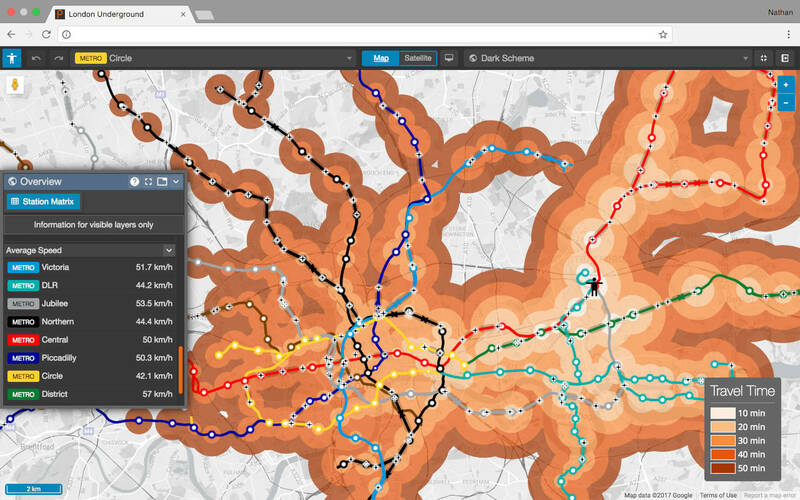 Create multi-modal transport networks and analyze their costs and benefits. Share these models with internal or external collaborators, ensuring that they are vetted and validated from every possible angle. 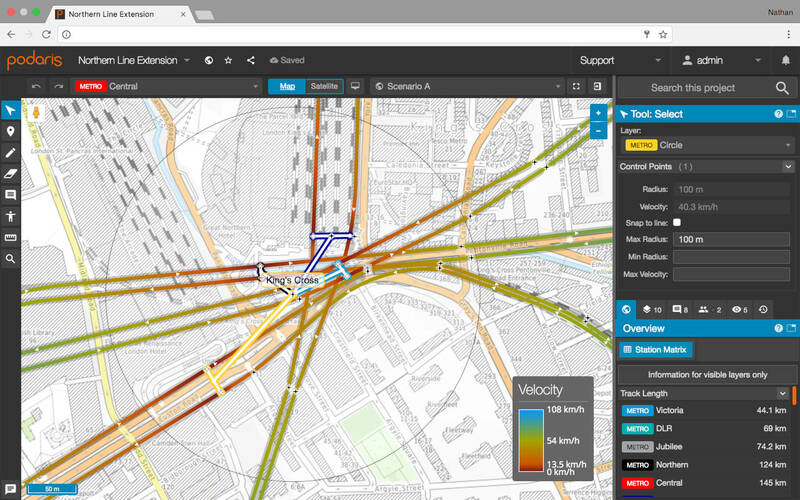 High-level analytical tools give an immediate understanding of travel-time and spatial connectivity. Forthcoming integrations with GIS and microsimulation applications will provide deeper insight into the performance of every scenario. Small details have big consequences — so Podaris gets the details right. Our easy-to-use parametric design tools ensure that right-of-way, travel-time, and capacity calculations are extremely accurate from day one, based on validated engineering properties from transport technology vendors. This engineering accuracy is useful for planning any kind of transport infrastructure, but is particularly crucial for helping planners to understand new and unfamiliar technologies, such as hyperloops or driverless pods. Every transport project needs buy-in from a large number of people: technical experts, policymakers, financiers, property owners, neighbourhood associations, and more. Often, consultations are left until too late in the process, resulting in costly redesigns that can set a project back by months or years. Podaris solves this problem by allowing both technical and non-technical stakeholders — in either carefully-selected or open-access groups — to be brought into planning process, reducing the feedback time from months to milliseconds.